As of now, Facebook enjoys over 2.10 billion monthly active users, making it the most popular social media platform on the web. Apart from the social bees, marketers and entrepreneurs also leverage Facebook as a game-changing marketing tool and so over 50 million businesses are on Facebook. But this is not it, 95.8% of marketers believe that Facebook provides the best ROI of all the other social media platforms. Facebook’s large audience gives the marketers a chance to showcase their products in front of the right and selective audience. When you decide to promote your brand on Facebook, you need to ‘advertise on Facebook’. Why? To find the best leads and customers, you can’t just depend upon posting content on your page. You need to create ads and then reach the right people. The only difference between posting content and posting ads is that ads need money and so you deserve higher ROI. Google will provide plenty of results when you’ll search for “How to Advertise on Facebook” but what you need to find is how to advertise on facebook smartly. No matter what your field is you’ll find someone who will compete with your brand either directly or indirectly and so you need to be smart enough to beat your competition. In this article, I’ll provide you with a step by step guide for beginners on How to Advertise Smartly on Facebook. First thing first, before you get to do anything, you need to sign up for Facebook Business Page and Ad account. Create an account to show-off your brand, engage with your audience and attract them. You need to know who your competitors are and what are they doing. Spying can be a little difficult when you’re new but eventually, you’ll understand how to spy in the right way and then use the competitor’s strategies for your own benefits. To do this with ease, pair up with the right tools. Poweradspy is one of the best tools to spy on your competitor’s Facebook ad. With the help of your spying skills, unlock who your targeted audience is. You can categorize them on the basis of demographics like gender, country, language, etc. 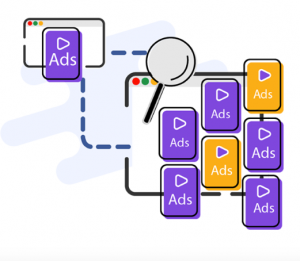 Poweradspy is the only tool that helps you search relevant ads according to age, gender, relationship, interest, or by what is happening on the landing page itself. Once you understand what kind of ads are working for your competitors and who are they targeting build your ad using Facebook ads manager. In order to create any kind of Facebook ad the only way is to use FB’s ads manager. You can go to it by clicking “Managing Ads” from the drop-down menu in your account. From there you can select promoting your page or create your first ad. Once you reach the ads manager, you need to tell Facebook about your “objective”. There are 15 categories to choose from. Choose the category that suits your marketing goals. Your goals are your priority and so you need to be specific about it. Just think about what you need your ads to do, whether create a brand awareness or consideration like downloading your app or convert your audience. When you decide to advertise, you also decide how much are you going to spend on the ads. Facebook allows a user to set the limits in two ways either “Daily” or “Lifetime”. Daily- For how much you want to spend every day. Use the Existing One- To promote any old post, you can create an ad by selecting an already shared post. Just choose ‘Use Existing Post’ option from the Facebook Ads Manager dashboard. Create a New Ad- To create an ad from scratch first, you need to choose the ad format. Facebook offers 5 ads formats based on your needs. Once you are done with choosing the format, now it’s time to add the body. This is an important step because you need to be careful about what you are adding in your ads. Ads are your magnet and they need to be attractive enough to get leads. You can add images, text or videos with a proper call to action. So, you’re done with the formatting and now it’s time to let Facebook know where to show your ads. Choose the location where you think that your ads would be the perfect fit. It also provides an option for showing your ads on Instagram as well. Though Facebook recommends choosing the default placements so that it could decide the best positions for your ads in the minimal budget. You may also decide on which device you’d like to show your ads whether mobile or desktop or both. Here is a guide from Facebook about the placements. All the steps are done, you’re are ready with your final ad and now you just need to place it. Just click the ‘Place Order’ button on the right-hand side of the page. Once you place it, Facebook will review your order and then send you a confirmation message after your ad gets live. Creating an ad, setting up the budget and then placing it, all the steps can seem a little difficult when you’re just getting started. 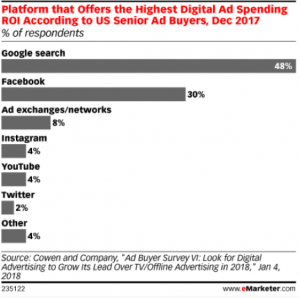 But once you start and find the results, you’d love using Facebook ads more than any other kind of ads. The best part of Facebook is that it allows you to showcase your products or services to a highly targeted audience giving you the highest ROI. Be a little smart than others and let the world know about your brand through your awesome Facebook ads.